A transforming all-in-one kid’s bedroom set?! The Smart Kid, from the Estonian design company Andensen Furniture, is as close to that as we’ve seen. In “baby mode,” the Smart Kid is a changing table and a crib that’s conveniently surrounded by drawers. 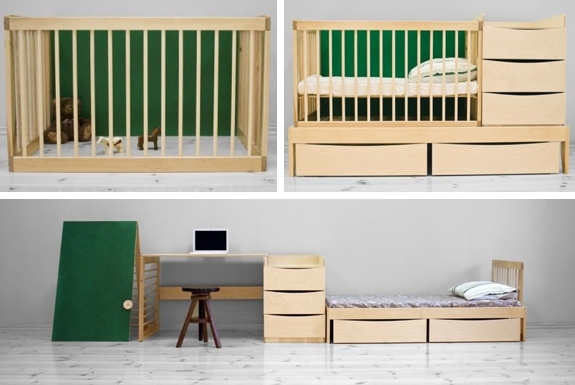 But rearrange the pieces for an older child (up to 10 years of age) and you get a junior bed, desk, shelf and dresser, plus — how cool is this?! — a chalkboard. Smart, indeed. The Stokke Tripp Trapp was first piece of furniture we acquired for our newborn cool spotter1. It’s a fabulous piece — solid feeling with a form factor that manages look cool and distinctive while also fitting in with many decor styles. Our little guy has been sitting in his Tripp Trapp since he was about six months into the world. We hope he’ll still be using it when he’s in his teenage years. How’s that possible? The Tripp Trapp’s adjustable seat and footplate. They can be scooted back and forth in addition to being moved up and down. So as a child’s back and legs grow, the seat and footplates can be rearranged to provide a perfectly sized seat at table height. Eventually, we’ll remove footplate entirely, turning our Tripp Trapp into a regular chair. We do wish that the straps — the ones that are part of the “baby set” — weren’t so fussy and that the chair came with the tray included (instead of being an absurdly pricey extra). Still, we love the Tripp Trapp’s choice of colors and cushion patterns, its extremely high build quality and its versatility. Recommended! 1 It was a gift from Grandma Cool Stuff, aka Mimi, to whom we own big thanks. A changing table is among the first pieces of furniture babies outgrow — unless said table is a Stokke Care. That’s because the Care can transform into a dresser, table, bookshelf or desk. 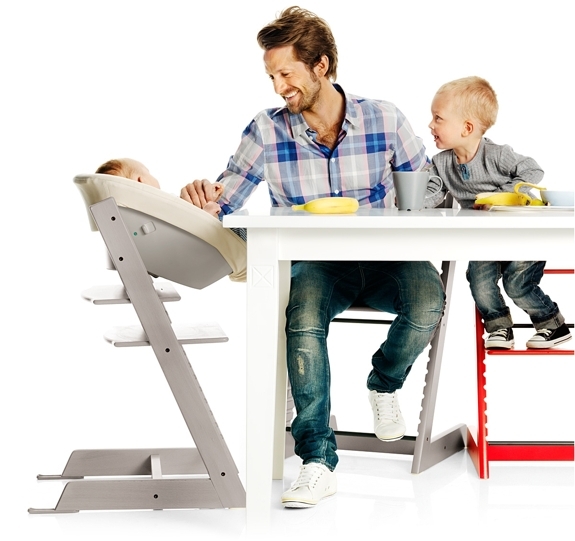 Stokke, not incidentally, makes several transforming kid-centric products in addition to the Care and their Tripp Trapp (above). Among them: the Sleepi that’s four beds in one and the Crusi that transforms from a newborn to toddler stroller. The Activity Table from The Land of Nod is not the only table that comes with multiple sets of legs at different heights. But it is the best executed. Our 1-year old learned to stand by pulling up on the Activity Table with the 15-inch (38cm) legs attached. At that height, it also works well as a coffee table. Rolling bins provide underneath storage (though they aren’t nearly as spacious as you’d think from looking at the first photo below). Toddlers can make use of one of the coolest features of the activity table: the paper roller. Roll open paper and cover the entire table for an art project. Once they grow large enough, attach the 23-inch (58cm) legs. Starting in the teen years, the Activity Table grows to full height with the 30-inch legs. Two draws in front provide storage. The table is made from sustainable rubberwood and comes in three color options: stained honey, stained espresso and painted white. Among the market’s multitudes of convertible cribs — cribs that transform into larger beds — most provide the worst of both words. They don’t work well as cribs. They don’t work well as beds. The GRO Convertible Bed is one of the happy exceptions. It was invented by two architects who clearly thought about how design worked in the practical world. 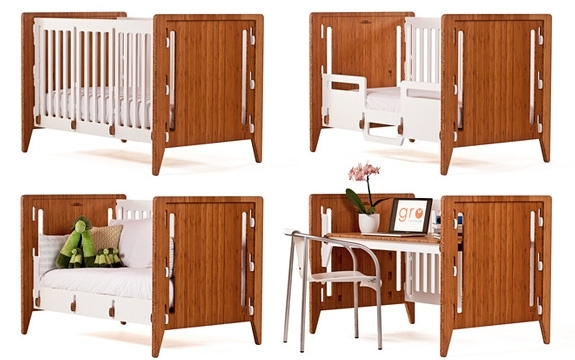 As a crib, the GRO Convertible is sturdy, adjustable and safe2. 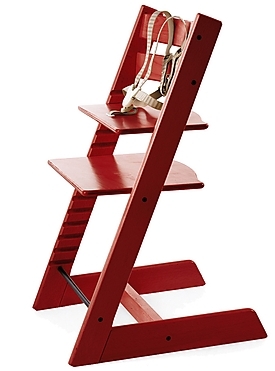 Convert it to a toddler bed and you’ll get a safety railing and a built-in ladder step. After the toddler years, you can convert to a napping bed, a play table or a desk. The design is such that each step in the conversion process takes less than three minutes! 2 For example: there are no drop-sides, all joints and parts fit tightly, the bars are less than 2.4 inches apart. Since 2007 over 9 million cribs have been recalled; sometimes we wonder how any of us who were born before then survived.